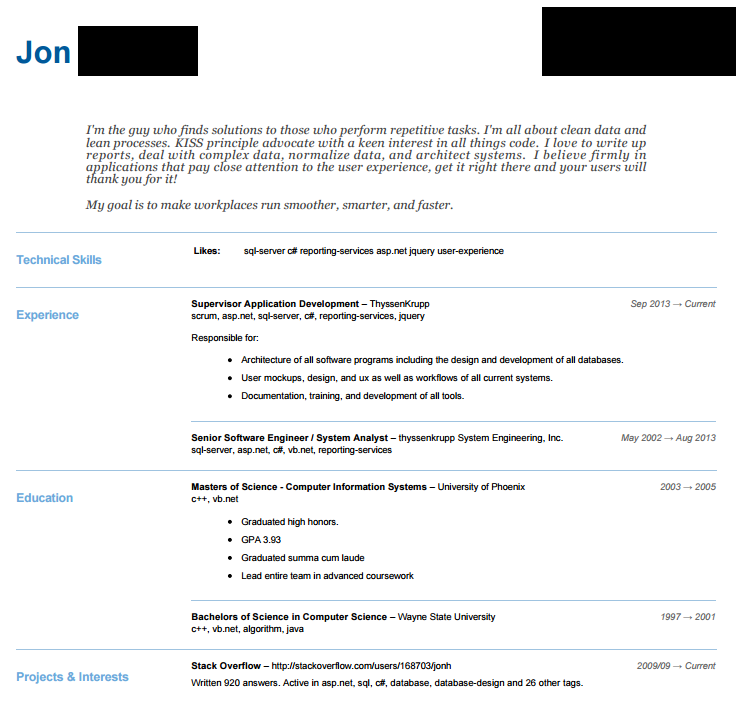 The company I applied for certainly would like to see the traditional resume not the developer story. The developer story is great if you are on a device but not to print out or to export. 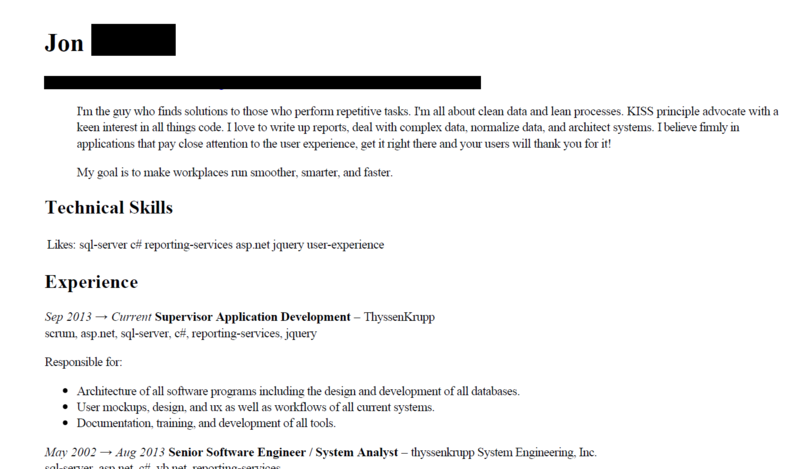 Please change this popup to use the traditional resume especially when you are applying for a job. Default to traditional view for the next 10 years or at least allow me to select traditional view. Remember teams? For clarity: we have not replaced anything employer facing with the developer story timeline view. When you apply to a job using the /jobs apply process the employer gets both an email with the exported PDF and links to your story, but they can see your story in both traditional view (the default) and timeline view if they click another tab. The exported PDF you posted a picture of is the traditional view. Except the PDF renderer didn't behave itself when rendering the CSS. That bug is now fixed and in production. Apologies for the inconvenience and thanks for the heads up. Not the answer you're looking for? Browse other questions tagged discussion status-completed jobs developer-story .